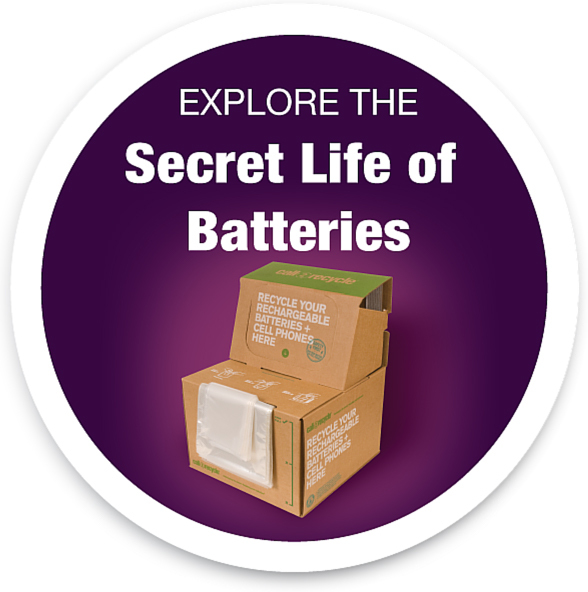 HomeArticlesCurbside Recycling: Will Convenience Increase Battery Collections? Linda Gabor, VP of Marketing & Customer Service, Call2Recycle, Inc.
Call2Recycle® research found convenience was a key component of recycling; consumers defined convenience as a combination of “easy” and “distance” to travel. When the public was asked what would motivate them to recycle batteries, 19% said they would recycle more if it was more convenient, such as through curbside recycling. And 43% said that making battery and cellphone recycling part of curb-side pickup would increase the likelihood that they would recycle. Other key factors included information and incentives. The 2012 Omnibus and Attitude & Usage research was commissioned by Call2Recycle, and conducted by IPSOS, a global independent market research company. Once reserved for a few-forward thinking municipalities, curbside recycling has emerged in the past 20 years as part of standard garbage collection in most cities. The public has heartily embraced curbside recycling for paper, aluminum, plastic, glass and yard clippings. Other recycling programs—batteries, electronics, paint, oil, construction debris—have been handled through drop off programs at local retailers and household hazardous waste (HHW) facilities. As landfill costs increase and the public consciousness about the benefits of recycling grows, municipalities are looking for ways to increase recycling and make it more convenient for the public. The belief is that more items will be recycled if it is convenient and accessible to people. Therein lies the catch: Will curbside collections increase enough to make the additional cost and time investment worthwhile? A few North American municipalities have launched successful curbside battery recycling programs. One city to watch is Durham, Ontario, Canada, which launched a one-year pilot project for curbside recycling. A 2008 report found that of the estimated 5,000 tons of single-use batteries sold in Ontario each year, only about 7% were being recycled. Durham’s curbside recycling events diverted 39 metric tons of batteries from the landfill; more batteries were collected in one week than had been in a year. Durham was recently recognized with a Gold Excellence Award in the special waste category and a Bronze Excellence Award in the public education category from the Solid Waste Association of North America. U.S. cities such as Minneapolis and San Francisco offer battery recycling with their weekly garbage collections. Used batteries can be collected in clear plastic bags and placed on top of the recycling cart. Residents are asked to tape terminals on Li-Ion batteries, per Department of Transportation requirements. Truck drivers enter the battery collections to an on-board computer. A local waste management facility sorts the rechargeable from the single-use, and then submits them to processors for recycling. Several waste management companies are now offering battery curbside recycling as part of their regular recycling collections throughout California. Convenience. The goal is to make battery take-back more accessible to the community and increase the volume of batteries recycled. Only time will tell if the public is more apt to recycle if they can walk to the curb vs. drive to a drop off location. Also of interest is whether recycling will increase simply because of the presence of battery-specific reminders on the trash bin or bag. The industry is watching closely. Will curbside collection be enough of an incentive to encourage more people to recycle their batteries? Will people recycle more if they don’t have to make a special trip? Will physical reminders trigger the public to recycle more frequently? Underlying these questions is the bigger issue of whether people are willing to change their behavior. Safety. Various government agencies (federal, state and local) govern how batteries are handled, shipped and recycled. The rules vary by battery type. Single-use batteries make up the bulk of collected batteries. They are easier to collect and manage from a safety perspective. In contrast, rechargeable batteries make up less volume, but require special handling such as the taping of the terminals prior to transportation. Wet-cell and other industrial batteries cannot be included due to transportation safety concerns. Differing government requirements make the process even more confusing. Can a curbside program be developed that accommodates governmental requirements but isn’t too complicated for the public to understand or too cumbersome for a city to implement? Packaging. Clear plastic bags are the frontrunner in collection packaging because garbage truck drivers can easily see what’s inside. Some municipalities provide the bags while others allow the public to use their own plastic bags. Durham provided residents with a brightly colored bag on its first collection day, but is now testing the use of bright orange stickers on resident-provided clear plastic bags. Call2Recycle is testing its own battery recycling bag to be placed on top of a garbage bin. What type of packaging encourages the most recycling? Who provides the packaging—the city or the resident? Is there a fee involved? Should the bags have instructions? These issues remain under discussion. Collection Frequency. Battery collection schedules vary widely. In many California cities, battery pick up is part of the regular weekly recycling collection as a result of a state law that prohibits the disposal of batteries in the trash. Other cities offer curbside collection events 2-3 times a year. These bi-annual collections require more communication reminders and a sturdier container to hold potentially more batteries. Which approach will yield the greatest volume? Which is more effective and efficient? Communication. Most U.S. municipalities are following a single stream recycling model that allows residents to dispose of all batteries in one container; the waste management company takes care of sorting. In Canada, where all-battery recycling programs are the norm, residents are asked to pre-sort the batteries into single-use and rechargeable bags. Both programs only accept dry cell batteries under 11 lbs. or 5 kg and ask residents to tape the terminals of Li-Ion batteries. Waste management companies must clearly provide key information (collection dates, types of acceptable batteries and packaging/handling instructions) that gets the public’s attention. Is the public willing to learn how to package and handle the batteries without causing sorting or safety issues which drive up costs? How do you effectively communicate program requirements—using flyers, bag imprints or stickers? As we have learned from past recycling programs, clear, concise communications drive greater success. Costs. One of the biggest issues around battery curbside programs is the cost. Collecting and sorting batteries requires more effort by the waste management company, which must recover this time in its fees. Shipping the battery to processors is another cost. Producers participating in Canada’s all-battery recycling programs pay for the disposal of single-use batteries. In the U.S., rechargeable battery shipping is paid for by battery manufacturer-funded product stewardship organizations such as Call2Recycle. No such funding exists for single-use batteries in the U.S.; shipping and processing fees are paid for by the municipality. San Francisco and Minneapolis pay for single-use battery recycling as a budgeted line item. Durham’s shipping was paid for from the proceeds from the sale of the recycled materials. Will a battery curbside recycling program result in higher garbage fees? Who will pay the fees? Will residents be required to purchase their own recycling packaging or will bags or bins be provided? For many municipalities in a tight budget squeeze, these issues all boil down to one thing: return on investment (ROI) or whether collections will increase enough to warrant the additional costs. Initial research in San Francisco shows that the increase in the workload for garbage truck drivers that did weekly battery collections did not have a major impact on their route timetables. But bi-annual collection events could drive up promotion costs. Weighing the costs against the increase in collections is an important factor in measuring program success. Even more important will be assessing the value of curbside battery recycling against other programs to determine which warrants future funding. While many issues are still being resolved in curbside battery recycling, no one can doubt the benefits. Initial results are cautiously optimistic. Greater convenience has resulted in increased collections. Battery recycling has been easily incorporated into existing curbside recycling programs. Target collection dates can be coordinated with other recycling collections. Less obvious benefits include keeping the batteries out of the solid waste stream and reducing the generation of greenhouse gas as solo trips to drop off locations are eliminated. The success of any recycling programs relies on changes in consumer behavior. Curbside recycling requires the public to stop and think about the best way to dispose of their batteries. But without clear communications and a commitment by the public to change, these programs may not deliver the ROI to sustain them. The value of today’s pilot programs is to learn to what extent investing in materials at curbside increases collections and apply that to the future. Organizations like Call2Recycle continue to be a valuable resource in North America in supporting curbside programs when it makes sense.